A New York Times bestselling title, illustrated by the winner of the Red House Children’s Book Award 2013. When your grandad rings the doorbell, it’s babysitting time! 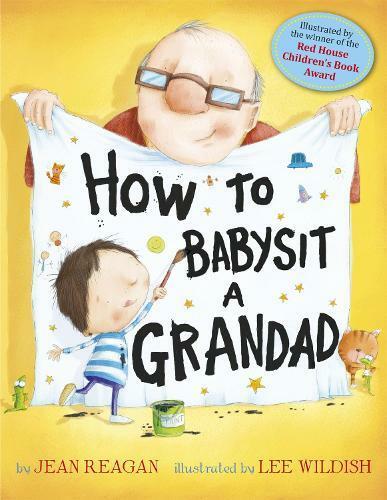 Written in a how-to style, the narrator gives important tips for ‘babysitting’ a grandad, including what to eat for snack (anything dipped in ketchup, ice cream topped with cookies, cookies topped with ice cream), what to do on a walk (find lizards and dandelion puffs, be on the lookout for puddles and sprinklers), and how to play with a grandad (build a pirate cave, put on a scary play).